The Shimano Sienna has both Front Drag and Rear Drag versions. They’re sized as 500, 1000, 2500 and 4000. Five hundred is suitable for ultralight uses while the 4000 can handle large freshwater and inshore fish. The Sienna is approved for saltwater and rated for use with Mono, Fluorocarbon and PowerPro lines. Both the FD and RD version have 3+1 bearings and one roller bearing. The FD has three models while the RD has four. Unsure whether to go with Front Drag or Rear Drag? Generally speaking, the Front Drag is smoother than Rear Drag. 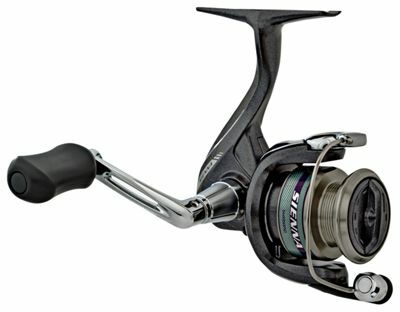 Plus, Front Drag is more popular, so you’ll have a wider variety of reels to choose from. On the other hand, Rear Drag reels are easier to adjust while actually fighting with a fish, because you see the reel in the beginning. Also, Rear Drag reels are generally considered to be a better option with low-end reels. The Sienna is low-priced but we wouldn’t classify it as low-end, so that con doesn’t really apply here. Basically, both the FD and RD Sienna models performed well. The Front Drag Sienna is the more popular seller, but your choice should really come down to personal preference. All Sienna models use the Super Stopper II. This allows for instant anti-reverse with no backplay. They also incorporate Propulsion Line Management for longer casts and reduced backlash. These reels are made primarily from graphite with a graphite frame, sideplate and rotor. The spool is aluminum. The models have a ported handle shank and Dyna-Balance. The key feature of the Sienna Front Drag model. It’s there to cure the spinning reels oldest problem – line twist. The special grooved design keeps the line firmly on spool, giving no change to potential loops and twists during cast. Also, the Front Drag models have a propulsion spool lip with an S guard and S arm cam. The key feature of the Rear Drag Sienna. Varispeed basically means a oval oscillation gear which provides a consistent spool speed that results in even line lay. Even line lay = better line management and of course, improved castability. There’s no difference in quality between the FD and RD Siennas. This is especially good news for those who favor the Rear Drag, since there are fewer product options available generally. Shimano makes a variety of reels. The Sienna is in the low price range compared to their other lines. The Shimano Stradic FJ and CI4 are their higher-priced products. While these products provide more strength and easier line-casting abilities when compared to the Sienna, the Sienna actually shares quite a bit with its more expensive cousins. All of these Shimano reels, including the Sienna, have the same type of lightweight, durable construction which consists of graphite and aluminum. This dramatically reduces rust on the reel, even with heavy use over many years. Additionally, these Shimano lines, including the Sienna, use much of the same technology. This includes the Super Stopper II, Dyna-Balance, Varispeed and a Propulsion Line Management System. To us, these are the features which really help Shimano products stand out from the competition. That we can get these features on even the low-priced Sienna model is a definite selling point. The Pflueger President is a reel with a price similar to the Sienna. While the President is certainly a fine reel, we have to give a slight edge to the Sienna. The Sienna has a smooth, stable cast and is generally a few bucks cheaper than the President. The Sienna’s price range is about $25 to $45 . For the same price, you can get a spinning combo from a discount store – but you won’t find anything nearly as well made as the Sienna. We were impressed with its lightweight, rust-proof frame. Plus, the reel is easy to disassemble for cleaning and maintenance. Cleaning the Front Drag Sienna in particular was very easy. The Sienna reels very smoothly. In fact, the entire reel makes almost no noise and has no vibrations. One thing we noticed is that the factory oil and grease wasn’t spectacular. That wasn’t a major problem by any means, however – we simply cleaned, oiled and greased the reel with our own products. While the reel is approved for saltwater, you’ll want to thoroughly clean your equipment after saltwater use. This is hardly a problem unique to the Sienna however. In fact, the Sienna’s durability is one of its highlights. This reel covers all the basics that average anglers is looking( or 42 pro anglers) for: durability, light weight and smoothness. We are proud that fishing companies have reached a point where for $40 everyone can get a decent reel. It surely wasn`t the case 5 years ago! Of course, there is a difference between Shimano Sienna and more expensive CI4+/FJ for example. The latter ones are bit more refined and better in tiny details here and there, but that’s what you would expect for handing out your hard earned money. This is simply one of the best products available at this price point. With most other reels in this price range you’ll likely be faced with a flimsy, chinese product which will rust and eventually break. Not so with the Sienna. The graphite and aluminum construction is durable, rust-resistant and, with proper care, will last for many years. 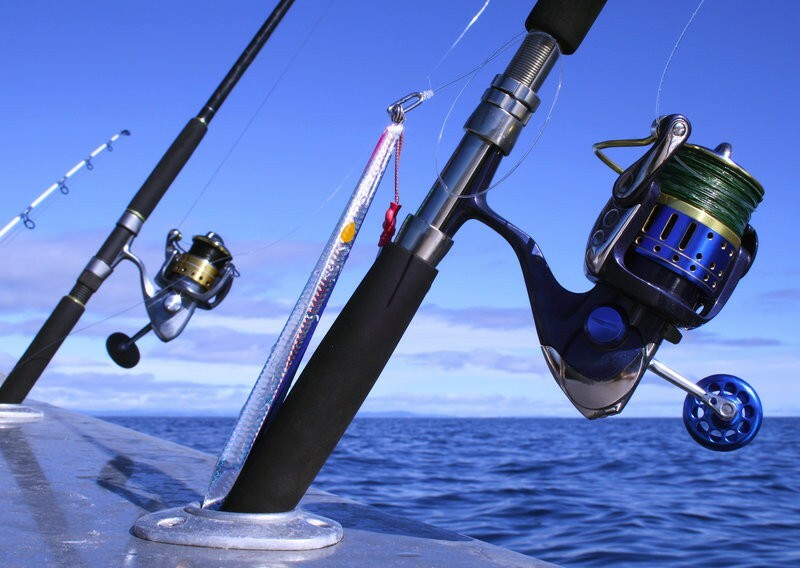 This product isn’t just for those looking to buy inexpensive fishing equipment. It’s also a great choice for anyone who is serious about fishing. The Sienna offers many of the same high quality, professional features found in the other Shimano reels – even those with much higher price tags. The Super Stopper II, Dyna-Balance and Propulsion Line Management Systems all help the Shimano lines stand out from the competition – and these features are available with the Sienna at a very reasonable price. 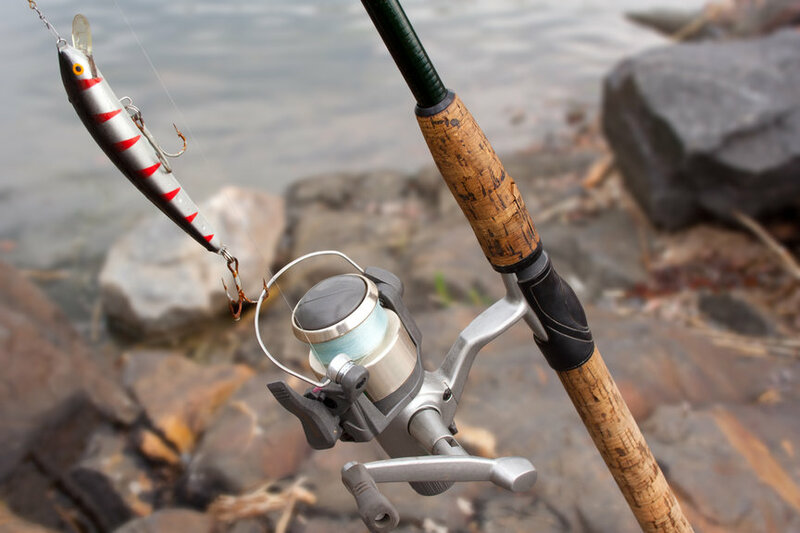 As it turns out, the best fishing gear isn’t always the most expensive. 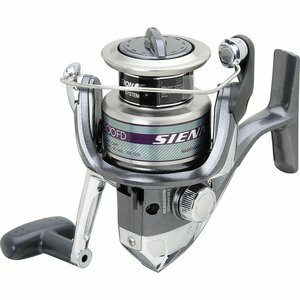 With the Sienna, you get a durable, smooth reel suitable for a variety of freshwater and saltwater fishing. Plus, you get many great features only available from Shimano – but at a price suitable for just about everyone. 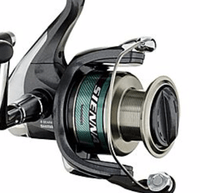 We give the Shimano Sienna our highest recommendation. Check out more of our Shimano Reviews! !